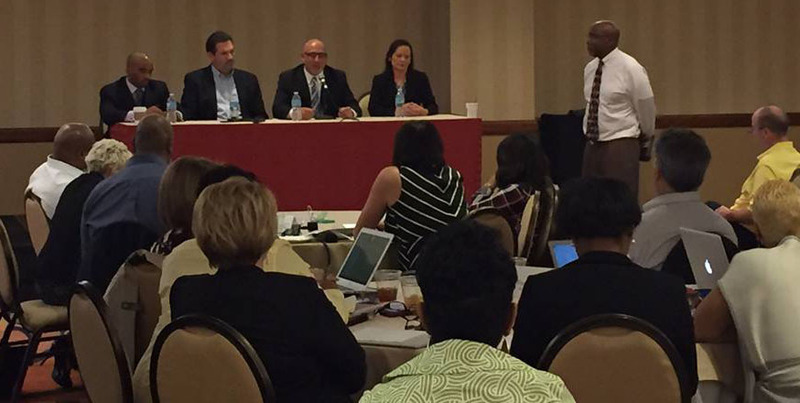 As part of the AASA National Conference on Education in Phoenix, AZ held in February 2016, Dr. Metzler participated in a cohort on budget management. Jonathan Travers, Partner at Education Resource Strategies joined spoke on Resource Allocation and the Superintendency and the cohort went through hypothetical situations on managing their entire district budget. Six sitting Superintendents, including Dr. Metzler, served on a discussion panel and fielded questions from aspiring district leaders. Facilitated by Dr. Vince Matthews, panel discussion was around Resource Allocation & Time Management. Dr. Metzler is pleased to report he was able to share important components regarding the repurposing of resources, the unanimous support of the budget committee this past fall, and how our resource allocation directly relates to student achievement which focuses on rigor, accountability, evaluation and support of our outstanding instructional staff.